Discussion in 'Criminal Charges' started by Harry T, Jan 15, 2019. Hey, I need some law advice. I was a former employee at Kohls. I was terminated, signed a letter of trepass and paid a restitution for petty theft. The police were not involved. Several weeks later, Kohls sends me a civil demand letter, asking for more money. I've googled around and seen several lawyer websites advising me not to pay the demand, but I want to make sure as I'm not familiar with this as this is my first ever offense in anything. 1.) Should I pay the Civil Demand? 2.) If I do, will I be put on a national list of retailers, making future employment much more difficult? 3.) Would paying the civil demand guarantee I'm not charged with anything? I know it varies state to state, but I saw one lawyer say that some states make it illegal to send both a subpoena and a civil demand letter. As I said before, The police were not involved and both the restitution letter and the civil demand has come directly from Kohl's LP and not a law office of any sort. Only you can decide that. Some say yes, some say no. 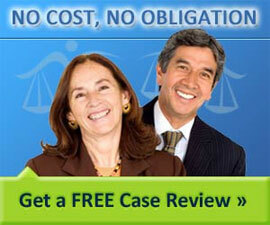 I will tell you that you have no legal obligation to pay it. The fact you have already paid some form of restitution pretty much assures the matter will never go to a criminal court. Whether you pay or not has nothing to do with your name being put in database. In the situation you describe there is no advantage to you paying the demand. 3.) Would paying the civil demand guarantee I'm not charged with anything? Based on what you have said here the matter is incredibly unlikely to ever go to a criminal court. It is the most petty of petty offenses that bores police and prosecutors to death. They don't want to deal with it. It is now a civil matter between you and the store. While they are allowed to make the demand for payment, it is a toothless law that does not compel you to pay the demand. Only a judge can order you to pay, and you are unlikely to ever see a judge since you have already paid some kind of restitution. They could pursue you in civil court, but that is even more unlikely. It would cost them more to pursue you than they could reasonably expect to recover from you. Yes, there is a miniscule amount of risk that some incredibly unlikely event may occur. I suggest you would sooner be struck by lightning on three consecutive days. Pay if it makes you feel better. Just know you have not received a bill, a fine, or anything else you are legally obligated to acknowledge in any way. It's just a letter asking for money. Should I pay the Civil Demand? "Are they entitled to it? Yes. The law says that they are entitled to it. If you don’t pay it, they can take you to court and get a judgment against you which they can then use to collect. They can NOT ruin your credit, put a lien on your house or car, or garnish your wages without first taking you to court to get this judgment. Will they take you to court? Probably not. . . . [¶] How many times have I seen it happen since I’ve been in practice? Zero. If they take you to court, they could win a couple hundred bucks from you. They’ll have to pay a lawyer a couple thousand bucks to sue you for that couple hundred bucks. But that could change. At some point the retail industry could decide that the deterrent effect of paying lawyers to sue the crap out of shoplifters actually saves them money overall. If that happens, all bets are off." In actuality, the retailer does not "have to pay a lawyer a couple thousand bucks to sue you" since most large retailers have multiple in-house attorneys who earn a salary and who would not have to be paid anything extra to file a simple lawsuit. What are the chances that the particular retailer that you victimized will sue you? I don't know, and I doubt anyone else here knows. What I can tell you is that identifying the victim of your crime by name in a public forum makes it at least a little bit more likely that you'll get sued, so you might want to private message a forum admin about editing your post to delete the reference to the retailer's name. If I do, will I be put on a national list of retailers, making future employment much more difficult? If such a list exists, you are almost certainly already on it regardless of whether you pay a civil demand. The answer to the question asked is no, and it does not vary from state to state. one lawyer say that some states make it illegal to send both a subpoena and a civil demand letter. This doesn't make any sense. A subpoena is a document by which a party to a criminal or civil action seeks to compel a witness to appear and testify in court or at a deposition. I will tell you that you have no legal obligation to pay it. This is, at best, a misleading statement. That the likelihood of suffering adverse consequences as a result of failing to pay something might be minimal does not mean the "legal obligation" does not exist. Section 2307.61 of the Ohio Revised Code provides that a merchant that is the victim of property theft may sue and recover statutory damage, in addition to any actual damages. The legal obligation to pay exists whether or not the retailer sues to enforce that obligation. The legal obligation to pay exists whether or not the retailer sues to enforce that obligation. The legal obligation to pay a debt arises after a court has adjudicated the matter. Even if a creditor possesses a judgment, they rarely collect anything from a garden variety thief! A state statute allowing a retailer to "demand" money from a citizen ignores a fundamental principle of our laws, DUE PROCESS. The IRS can't seize your assets until due process has transpired. No government can order you to pay a private party by directive or fiat, which is why the statues permitting this lunacy defy logic. The government is not a debt collector for any merchant. If a merchant feels you owe some debt, the merchant has to do what I must do, file a lawsuit, plead the case before a judge (and jury in Texas), receive a judgment which the merchant must then endeavor to collect. Demand letters are not only silly, they are useless, unless a person is frightened into coughing up the loot. This is, at best, a misleading statement. The legal obligation to pay does not exist until a judge says so. The statute gives the retailer a legal right to demand, but that does not amount to a legal obligigation to pay. Those state "demand" statutes have yet to have their constitutionality challenged. Once the constitutionality of those statutes are challenged, the blow back will be astounding. No merchant has ever taken a person to court for not coughing up the loot in the entire Republic of Texas. There is no enforceable obligation until a judgment is entered, but the obligation exists regardless. A demand to pay is not a bill or a fine or anything else that a person is responsible for paying if they should choose not to. The law simply exists to empower the retailer to make the demand and lay out the procedure if court should be necessary (and to hopefully keep them out of court). A person has no more obligigation to pay the retailer's demand than they do to pay a demand if I should send them one. As for constitutionality I don't think that is an issue either. Anyone can demand anything of anyone. One can always refuse. I don't think constitutionality becomes an issue unless an obligigation to pay is created without the judicial process first being involved. Civil demand letters are requests, nothing more. I am a Retail theft consultant and answer questions like yours daily. As stated its your call. However there "can" be serious long term consequences (even if small) if you ignore letters. The letters are in accordance to existing laws. Here are some links and video son issue as well you decide. By the way it was unwise to name store on public forum.